I've been coming to Camp Tanner since 2003. Bedhead, you get to wear your PJ's to breakfast what's not to like. 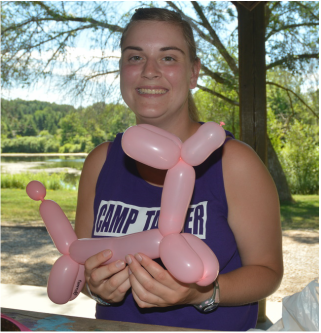 What is your favourite thing to do outside of camp? ​Favourite things to do at camp? What is your favourite thing about camp?